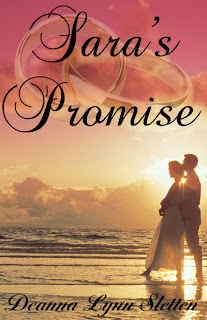 Deanna Lynn Sletten: Sara's Promise Book Release Tour Wrap-up! Thanks so much to everyone who stopped by or followed the book release blog tour for my new novel Sara's Promise. It was so much fun seeing all the great posts put up by the participating bloggers and reading your comments. It takes a lot of work to organize a blog tour, so it is fun when it has such a nice response. Congratulations to the winners! I have already contacted everyone who has won a prize. Thanks again for following the tour. I appreciate everyone's support.